Located in McMinnville at the Evergreen Aviation Museum, the Champions Run for Heroes is an important race for me. 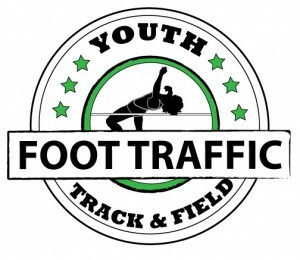 Not only does it have a flat fast course away from busy roads, but it is hosted by a non profit organization and gives the proceeds to local first responders as well. It is a loop course, with each loop being 5K in length. Huber Timing is present for accurate results, so the event ticks all the boxes for being a competitive option to kick off the fall season. After over two months of not racing to rehabilitate a foot and hip issue, I was excited to toe the line again. Being realistic after a couple months of running 50-60 miles total without any intense workouts, I had a goal to run the 10K in 36 minutes. I was looking forward to racing in cool temperatures again after combating midday heat for most of the summer. Because I indirectly work with the host charity, I was able to get a sneak peek at the course and help with the planning. It’s always fun to see a race from the organizational side. Utilizing the pre race packet pick up option, I stopped by the See Ya Later Foundation office to grab my goodie bag, shirt and number on Friday afternoon. After that, it was just a matter of making sure I ate a good dinner and stretched the night before. When I arrived in the morning it was important to remember with the conservative goal i needed to quiet the normal pre race jitters so that I would have a controlled start. One of the quickest ways to ignite a mild injury is to overdo it too soon. So I enjoyed a casual warm up and went over the start and finish areas to familiarize myself with the course. It was chilly, but not overly so, as the other runners started to arrive. The course and finish line were already set up and the organizers were prepared. It was cool to see the local police department and fire department there supporting the event. There was a slight delay to the start as we waited for one of the course staff to get to their location. Then the gun went off and the fun began. 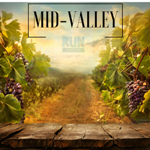 The first mile of the course was on a black top path around a vineyard. On the other side was valley and forest, so it was quite peaceful. I had another runner off my shoulder for about half a mile but then he dropped off and that was the only company I had. The second mile utilized the entry road and some gravel around the far side of the property, with ample cones and volunteers to keep us on course. The last mile went back into a wooded area and then back onto the parking lot to loop around the main building before sending us back to the finish area. The course is not technical, other than six broad steps at one section. There is only one turnaround, with space to take it wide, and no tight turns. Being a relatively flat course with about 200 meters of shallow gravel, it is a fairly fast course that is potentially pr friendly. I wasn’t searching for a personal best this time, and tried to maintain equal effort through both loops. I had my watch on me but was not checking splits to avoid being a slave to my watch. I felt good but definitely wasn’t pushing with true race effort. The cheers of the volunteers and those standing at the start finish area was a nice boost as I went around the course. After finishing I was definitely ready for water due to the muggy conditions. There was music to enjoy as I stretched and then cooled down with my girlfriend. I got a cool reusable bag and water bottle along with a medal for winning. There were similar prizes for the top 3 winners and overall masters. There was an awards ceremony but I had to miss it due to my kid having a cross country race in Monmouth. All in all, this race was a great experience. There were no issues with the schematics or the run itself. I will be returning next year for sure, due to the cause and the excellent race itself. 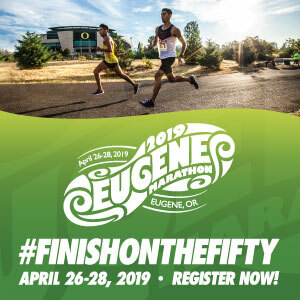 With music, chip timing, and on site daycare as well as a half mile race for the kids, it is a great event for the whole family.